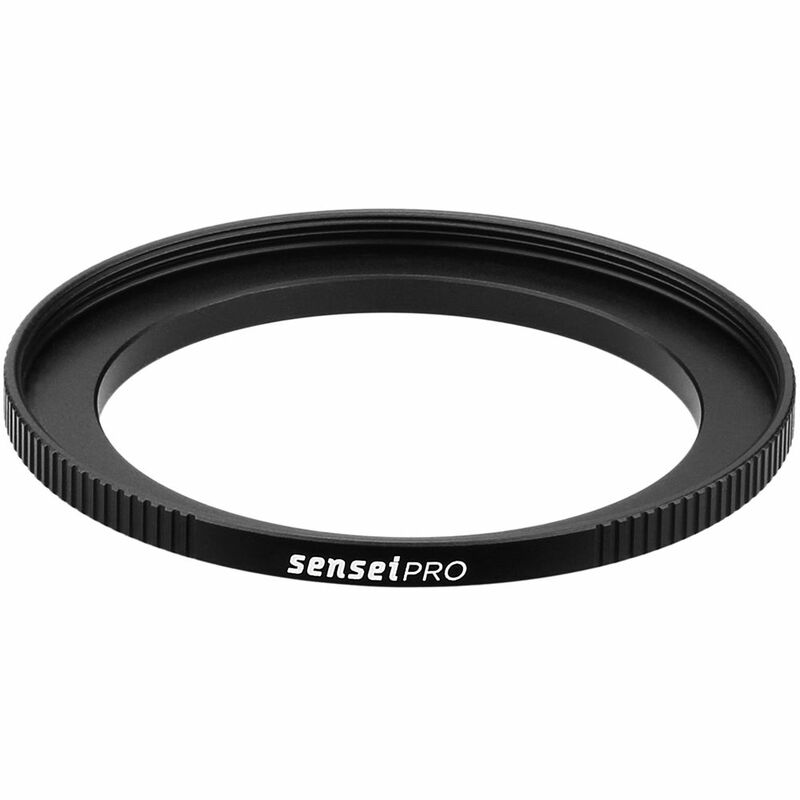 The Sensei PRO 52-62mm Aluminum Step-Up Ring permits the use of 62mm threaded filters on lenses with 52mm filter threads. It has large side knurls to provide a more textured grip when mounting or removing it from a lens. This step-up ring features a lightweight, aluminum-alloy construction that has a corrosion-resistant, matte black, hard anodized finish for durability and to minimize reflections. Box Dimensions (LxWxH) 4.5 x 3.6 x 0.75"
PRO 52-62mm Aluminum Step-Up Ring is rated 4.5 out of 5 by 6. Rated 5 out of 5 by John from Great item, saves money !!! The filter adaption ring is made and threaded very well, as good as I have had so far. The price is right and was shipped very fast, Saves you money for not having to buy extra filters. It also has a knurled outer edge to handle well without slipping upon use. Super item. Rated 5 out of 5 by kevin blah from This must be the step-up ring god uses. I mean, when he can't magically transform his 62mm filters to fit his 52mm lens. which is seldom. because i've talked to him. good guy. clean diction. does landscape mostly but he calls it still life. odd duck. Rated 5 out of 5 by David S. from High quality. Inexpensive alternative to sometimes hard to find OEM rings. Quality is as good, if not better than original manufacturers. Does not bind up, or stick.